Pink Moon is over 5 feet wide and almost 4 feet tall. 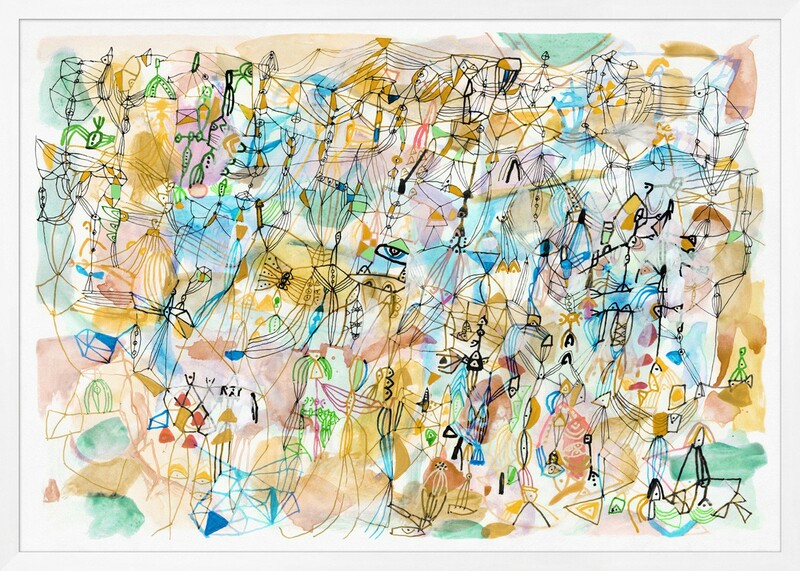 With wonderful colors as a backdrop to beautiful line drawings, this unique piece will command the attention of the room. Add this bright and lively piece to compliment both modern and traditional decor.